Press release - BRP’s new Intelligent Shift and Throttle (iST) option on Rotax jet propulsion system engines brings electronic control to formerly mechanical functions in jet propulsion. 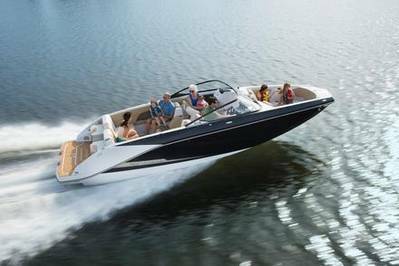 BRP’s Marine Propulsion Systems division introduces the option, now available on nearly all Scarab jet boat models and Chaparral Vortex models, that allows boaters to optimize low-speed maneuverability in a variety of environmental conditions. Set for November production, the iTS system is a game-changer according Michael Carter, director of North American business development for jet propulsion systems, “Our new iST system is more than just electronic actuation of the reverse gates, the iST system allows the operator to adjust the neutral position on-the-fly. Reducing the shifting effort was great, but not until we married that to our lateral thrust control and provided for natural adjustment from the helm did we truly revolutionize the jet propulsion industry.